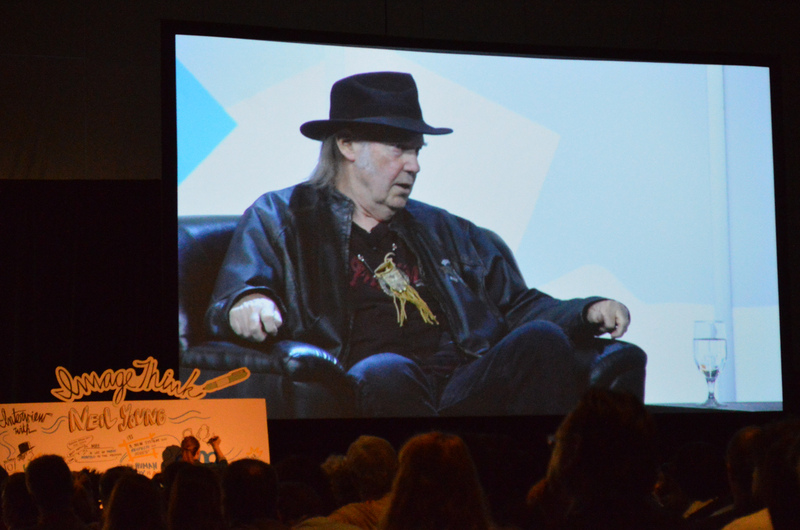 Speaking like a new age guru promoting an other-worldly experience from listening to quality music-infused sound, legendary singer-songwriter Neil Young preached mostly to millennials at the Austin Convention Center March 11. Kicking off the music portion of SXSW, Young spoke to a full house in the grand ballroom while his gargantuan image projected onto two white screens two stories tall. The hour-long presentation came off as a giant Pono commercial, but the audience didn’t seem to mind. Lamenting the creation of the MP3, Young cursed its invention as the apocalypse of the music industry. He provided an oral history about the music recording business and its electronic distribution beginning with vinyl LPs, followed by cassettes, then CDs and MP3s, ending with the dawn of the Pono, a device expected to retail for $399 each in October. Preorder offers at $300 each began March 11 on Kickstarter. Twenty-four hours later, Kickstarter reached Young’s goal of nearly $1 million in pledges to PonoMusic. He said the device will revolutionize the listener’s music sound experience. Young said his interests in changing the way that music is distributed to the public began 10 years ago when the music industry began dying. “All of those musicians and all of those services that used to support musicians and all of the recording studios, they started to die. Everything started to die. It was the most amazing thing – this vibrant, creative kind of whole culture started to go away and it was because of the MP3 and the cheapening of the quality to a point that it was practically unrecognizable,” Young said. He noticed that the value of music albums decreased as more people purchased single songs. The audience responded with rousing applause. “The albums’ music meant something to me. They’re a family of songs and they were telling a story about how I was feeling and they weren’t just filler,” Young said. He taught the audience a little history about producers Jack Nitzsche and Phil Spector and their use of The Gold Star Echo Chambers at Gold Star Records in Hollywood during the music industry’s early years of recording reverb on albums. 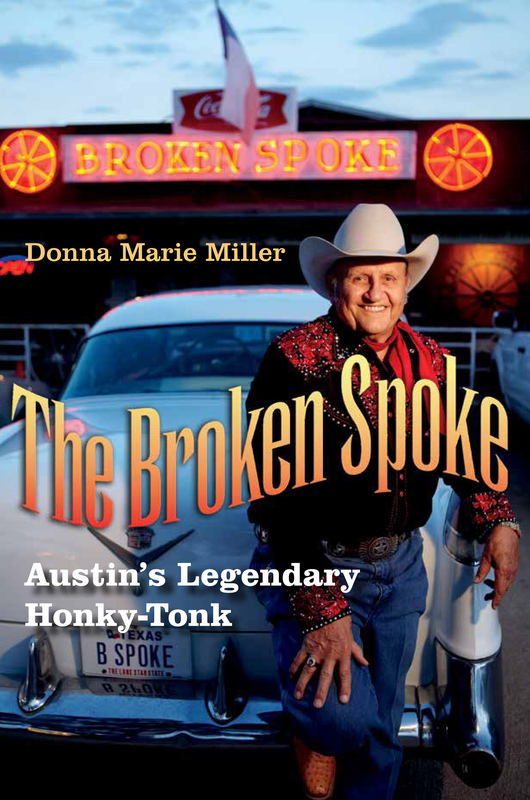 “I went in there with Buffalo Springfield in 1966 and we made our first record. We had producers who didn’t know what they were doing making their first record too, so it was kind of a disaster. But I do remember hearing the echo and going ‘my God, it’s magic.’ It really is. You’re just puttin’ your voice in there and suddenly it’s like in heaven or something,” Young said. Soon the quality of music began to decline and record company executives found cheaper ways to distribute their products, Young said. Five percent became the new low standard rate of fidelity for distributed sound, as the digital age issued in great advances in recorded video. A few years ago, some record companies produced vinyl records once again to fill a surge in interest, creating a popular niche in the music business, he said. Record companies released vinyl records made from digital recordings filtered at a fidelity rate of 44.1 kHz per sample, sufficient for FM broadcasts. “They were seeding masters on vinyl because vinyl, they thought, was a cult thing. It wasn’t because of the sound that they were putting it out; they were putting it out because it sold. So they put it out and that vinyl was sort of a sham, some of it,” Young said. Young appealed to teenagers in the audience and to people in their early 20s who have uber hearing. “Children today, young people growing up have their bodies that are wide awake and they’re sensitive and they can hear. They get something that just lets them recognize it; they can identify the name of the song and learn the melody from listening to this. But inside their soul, they’re just not getting what we got. There’s just nothing there for them,” Young said. He said as music lovers became deprived of the pure sound of original recordings, the artists adapted by producing some “clever, tricky” recordings. Young music lovers, however, don’t have to settle — thanks to Pono. “Pono is whatever the artist decided to do or the artist/producer decided to do. All of the formats – 44 (kHz,) 48 (kHz,) 88.2 (kHz) 96 (kHz,) 176 (kHz,) and 192 (kHz) are all played back on Pono just like the artist made them. The artist makes the decision,” Young said. Young records at 192 kHz and he remasters his earlier analog recordings at 192 kHz so that he may enjoy a higher quality of sound when listening to his music played back on a Pono. He likens the feeling he experiences from listening to music played on a Pono to water, metaphorically. “My body’s getting washed. I’m getting hit with something great. I’m not getting a bunch of ice cubes thrown at me – it’s water ok? It’s happening. It’s a cool mist. I’m getting it, every part of my body is getting hit with this thing. My soul is feeling it. I’m doing what I used to do; I’m listening, feeling, and I’m experiencing it. I’m living. So that’s why I record at 192 and that’s why I transfer everything I did in analog to 192. So that I could have 192 and bring it to you, eventually,” Young said.